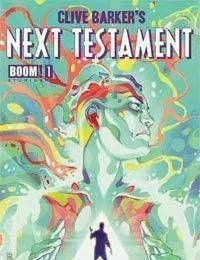 The first original comic series created and written by Clive Barker is here!<br />Julian Edmond, captain of industry, has left behind everything to begin a walkabout -- he believes he's on a mission from God. While in the wasteland, he comes across a figure unlike any other, who calls himself Wick...and claims to be God. Their journey will span the globe, as neither man merely wants to make a mark on the world, but a scar.<br />Clive Barker, with internationally acclaimed artist Haemi Jang (HELLRAISER: THE ROAD BELOW), come together to create the next legendary work in the canon of one of the great writers of our era. Ask your retailer about the ultra-limited edition signed Clive Barker variant cover, painted by the master of horror himself!